Fleas and other similar bloodsucking pests can be a problem for pets and humans. Pigs are less vulnerable as their thick skin protects them from most flea bites. This may be good news for pigs, but they can still spread fleas to humans which can lead to problems such as rashes and the transmission of diseases. Like with pet cats and dogs, measures can be taken to stop fleas carried by pigs from harming humans. The dirty state of pig sties are a good condition for fleas and other similar pests to breed. There is very little that can be done about this, but those working in and around pigs should consider wearing insect replant so fleas do not bite them or come back home with them. The most common pig to have as a pet is the pot-bellied pig. These animals have very thick skin which fleas cannot bite through so the pig is unaffected. They are still capable of bringing fleas back into the house in the same way as cats and dogs so a flea collar is a good idea. 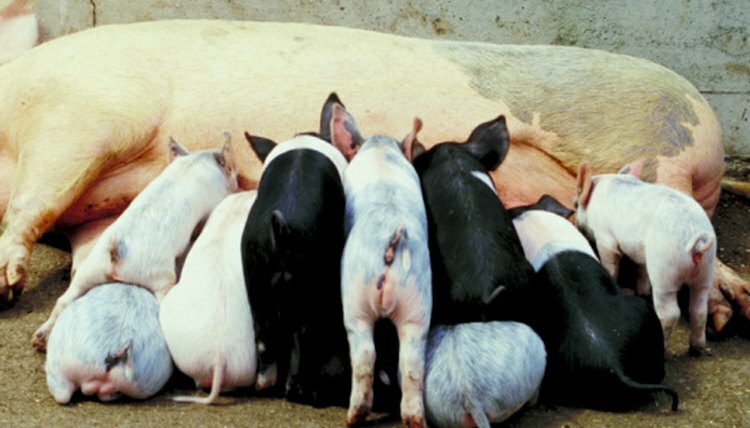 Young pigs are particularly susceptible to flea bites as their skin is not thick enough to ward off the bites. If a farmed or pet pig has an insect bite on its skin treat it immediately with an anti-bacterial spray to stop the animal from scratching it. If necessary, a plastic cone can be placed around the pig's neck. Many people worry about using pesticides around any animal because of the risk of harming it indirectly. There are several animal-safe pesticides that can be used and also some natural remedies. Scented oils, like lavender and eucalyptus, both deter fleas. With fleas, the best tactic is prevention rather than cure. With farmed pigs, this is difficult so a pesticide may be the only choice, but for pet pigs it is vital to make sure their bedding is clean and the house regularly vacuumed.